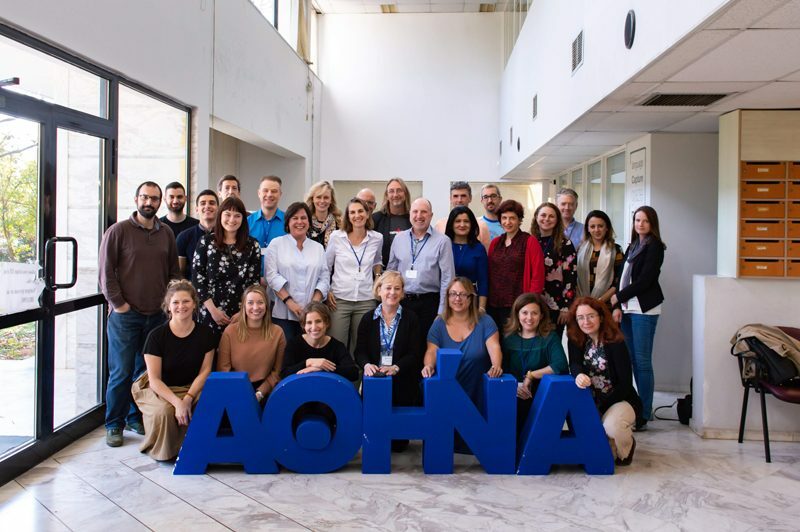 On 5-6 November last year we were delighted to host the second EMOTIVE User Workshop in Athens, Greece. The two-day event was attended by a select multidisciplinary group of museum and heritage experts as well as representatives from all partners on the project (see the full list of external participants at the end of this post). This blog post outlines the activities on Day 2 (click here to read Day 1). The second day of EMOTIVE’s User Workshop was held at the ATHENA Research and Innovation Center. 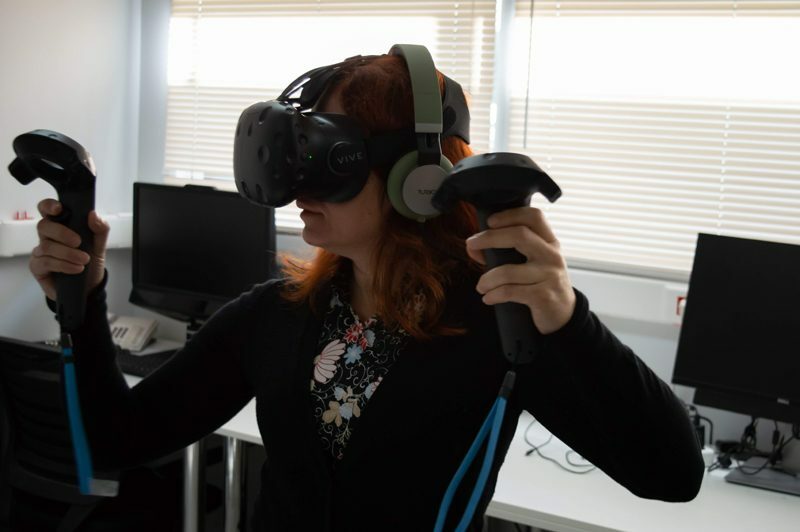 On the agenda were the demonstration and evaluation of two experiences: a Virtual Reality visit to the site of Catalhoyuk, and an online chat with a Chatbot of Conviction (affectionately known as ChatCat), on the same subject. Figure 1: Introducing the demonstrations of Day Two. The EMOTIVE Chatbot of Conviction was developed in the context of experimenting with novel communication channels for EMOTIVE experiences. 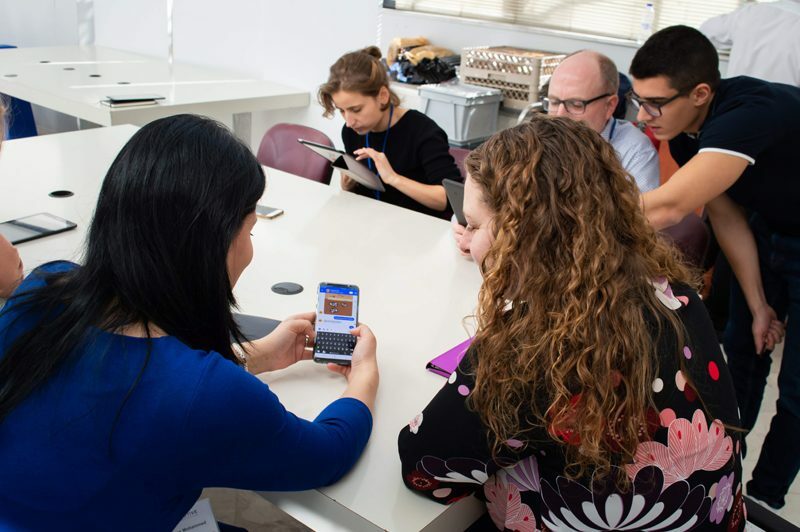 The aim of the tool is to allow visitors to converse with a virtual persona about an archaeological site or museum, in much the same way that they would chat casually with a friend over Facebook Messenger. The bot (dubbed ChatCat early in development 🙂 ) mixes the functionalities of an info bot and protest bot. It sequences interaction and conversation to include knowledge-sharing (info bot) with questions designed to probe visitors’ convictions (protest bot) about whether they would want to live in an egalitarian society like Catalhoyuk. Two groups of four members interacted individually with the bot, on their own devices or on handsets provided by EMOTIVE (Figure 2). To capture feedback, the team adopted a think-aloud protocol along with observation of use. Then afterwards, the group discussed their experience in detail. Figure 2: Evaluating the Bot of Conviction. The Catalhoyuk VR Experience allows visitors to step virtually into the Neolithic site famed for both its architecture and its culture of social, political, and economic equality. It’s a shared, multi-user experience and we were very eager to demonstrate it to our participants and see how they reacted. The goal of the experience is to enable users to explore the history and geography of the archaeological site, including its excavation areas and replica houses, while engaging in shared decision-making and critical thinking about property ownership, the emotional connection we have to personal belongings, and the relationship between giving and receiving - both in the past and in the present. 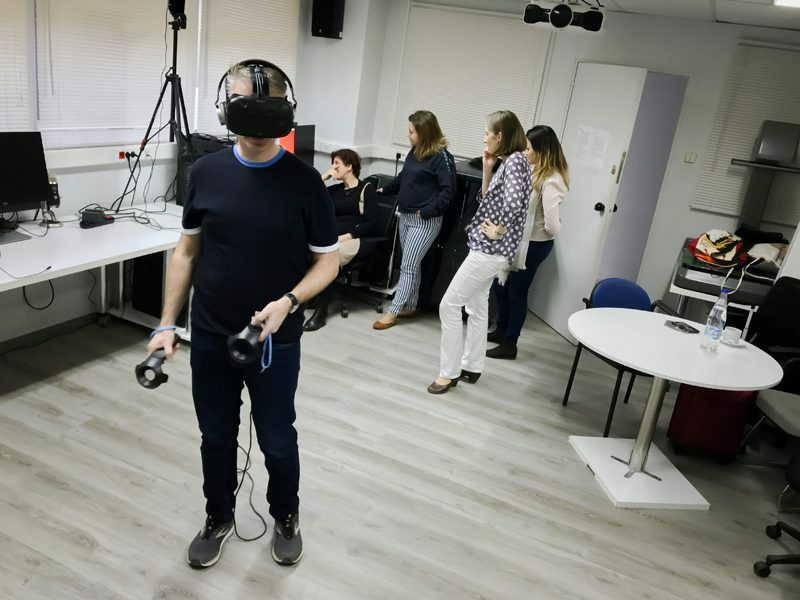 As with the chatbot, two groups of four entered the VR Lab, and one person at a time wore the head mounted display (Figure 3). 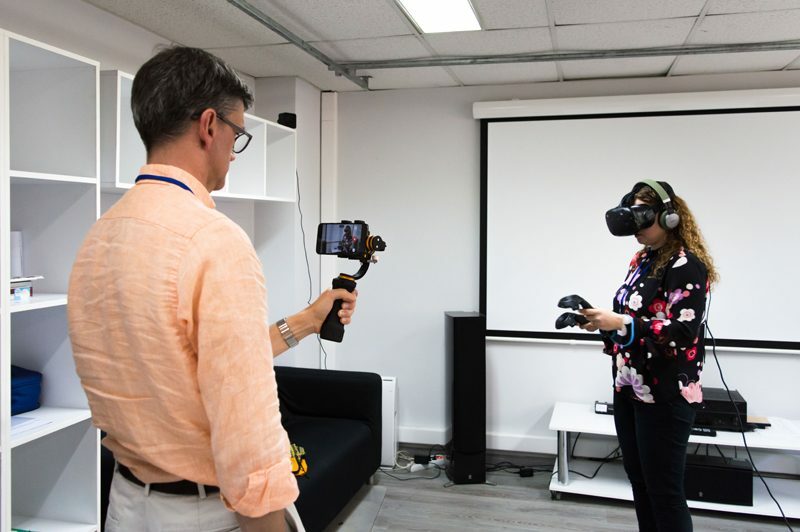 Figure 3: Guests trying out the immersive VR experience. Day 2 concluded with an approximately hour-long debriefing session with all workshop participants, led primarily by ATHENA, UGLA and York. The session was engaged, wide-reaching and insightful. It brought up issues large and small about the role of storytelling in heritage and the purpose and best use of technology as a means of delivering interpretation. 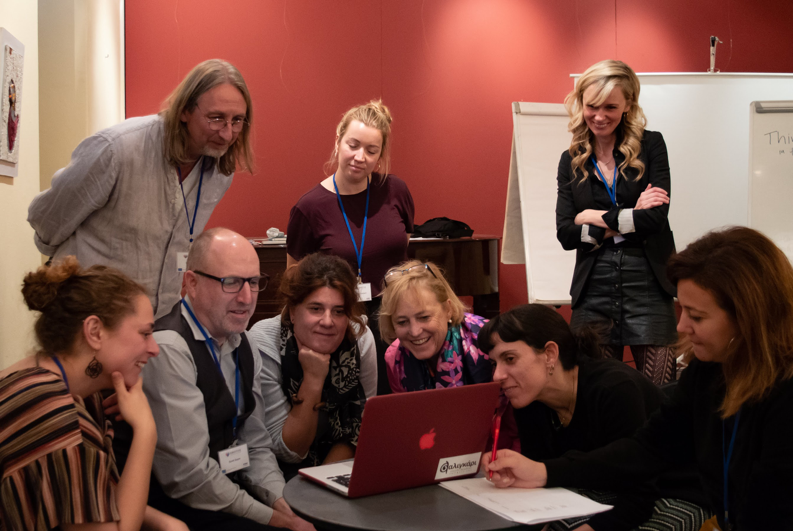 In summary, the workshop brought 13 external experts together with members of the EMOTIVE consortium to discuss issues relevant to evaluation and the project at large. Participants ranged from museologists and historians to computer scientists, digital media designers, psychologists and neuroscientists. And it was highly successful. The EMOTIVE team gathered a very significant amount of rich feedback on evaluation approaches and solutions from the team. Since it took place, we have been parsing and analysing this feedback and implementing it in new iterations of the experiences. The results will be included in relevant deliverables and we’ll share details here on the website and through social media. Visit EMOTIVE Gallery to see more photos from the workshop. We would like to thank all the workshop participants for their attendance and valuable contributions to EMOTIVE experiences evaluation processes.